One of the largest low-cost airlines in the world, Ryanair, has cut its profit forecasts claiming lower than predicted fares had hit its calculations. The high-fee carrier said its full-year profits are now expected to be in a range of €1.0 billion to €1.1 billion that's around £880 million to £970 million. 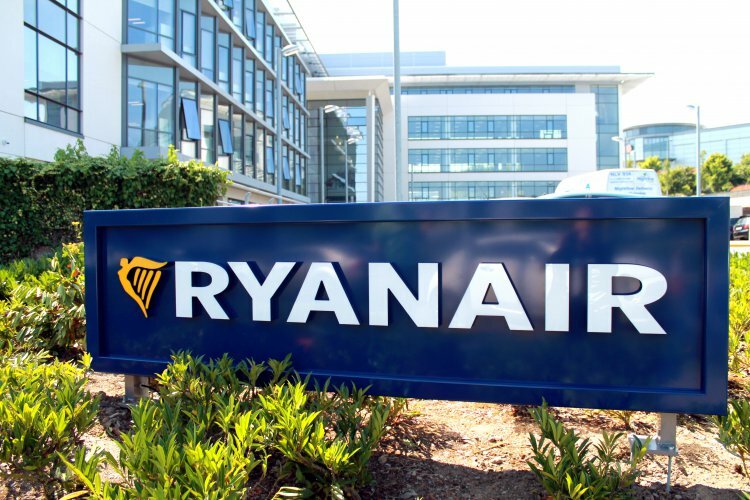 According to the bullish boss, Michael O'Leary further falls in profits could not be ruled out and airfares are expected to be even lower this winter, at least 7% less. O'Leary continued to blame others, saying there were too many airlines flying and too much capacity the prime short-haul European routes. "We believe this lower fare environment will continue to shake out more loss-making competitors." he said, adding "WOW, Flybe, and reportedly Germania for example, all currently for sale." Looking ahead, the airline believes more uncertainty over Brexit, security developments and lower airfares could continue to affect its yields between now and the end of March. The airline also reported that losses at Laudamotion, the company set up by Niki Lauda which Ryanair took over were not as great as they had feared. The losses have been slashed from €150million to €140million thanks to lower-than-expected costs.